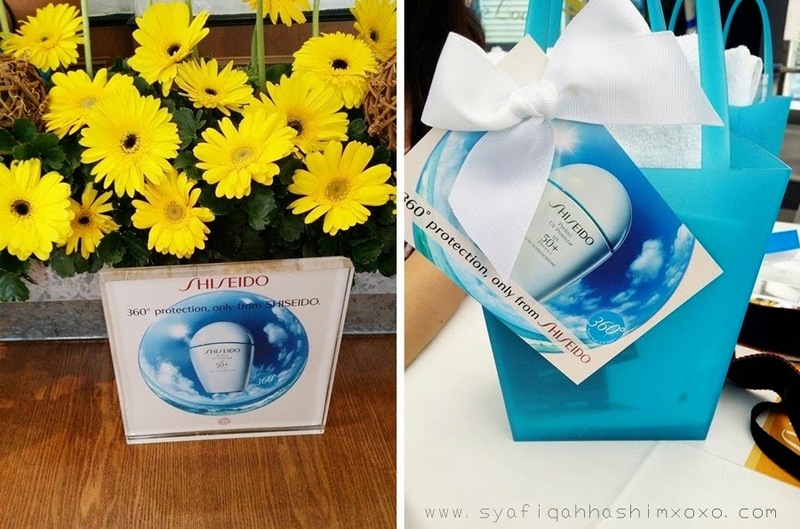 On 30 May 2014 [Friday], I was invited to the Private Event for Shiseido Perfect UV Protector SPF 50+ PA++++ Suncare 360º. This event were held at The Loaf, Pavilion. Shiseido is a very well-known brand all over the world. The brand that give a beauty touch to every women..Weewitt! I just love the simply pretty decoration that day plus there are a lot of SUNFLOWER!! plus, the goodies bag was so cute!! 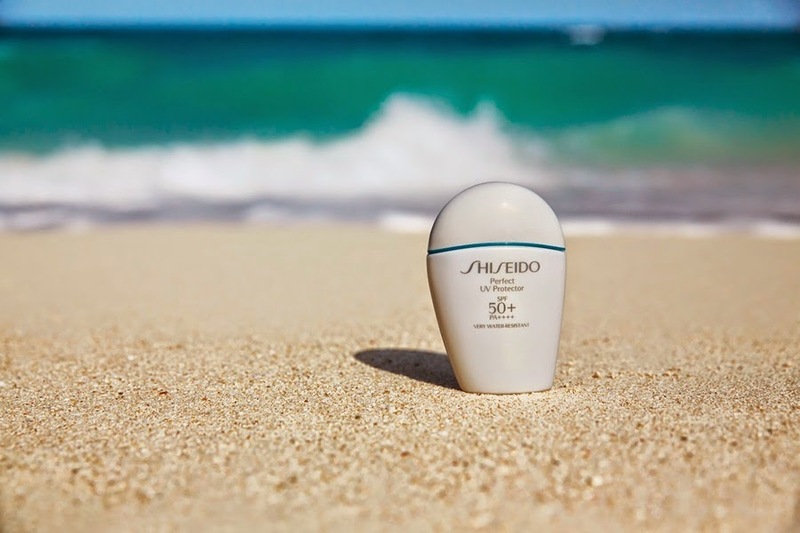 Shiseido Perfect UV Protector is a water-resistant sun protection lotion taht gives a reliable defense against UV Rays while offering advanced skincare benefits. This is definately suitable for face and body to protect your skin from direct sunlight formulated for strong sunlight conditions. Shiseido Perfect UV Protector absorbs quckly and feels comfortable on skin. It also promotes a smoother application of foundation and a lasting makeup finish. It a water resistant but it also can be easily remove by basic cleanser. Most important that this product is Non-Comedogenic and Dermatologist and Ophthalmologist-tested ! 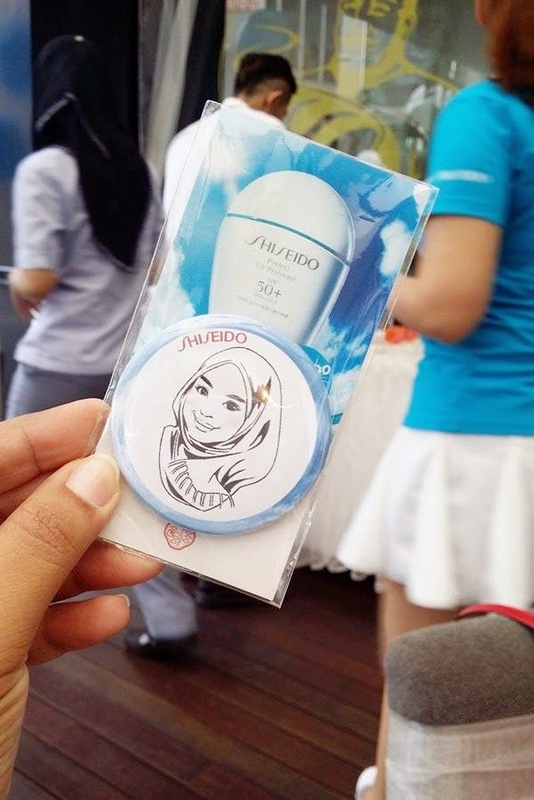 So, go and grab your SHISEIDO Perfect UV Protector at any Shiseido counter NOW! My partner of crime that day! Thanks Wiida for accompany me that dayyy..
and meet Angeline..It was nice to meet her plus we also hanging out together after this event..Go for shopping.. I was stunned by their talent how they can draw a mini picture of us ! This is mini me ! They draw a picture of me in this badge but nice version one lahh.. The Shiseido 360º of FUN is at the entrance of Pavilion near by the fountain area. It is the time to ride on the Mini Cooper Cabriolet without hesitation because my skin was protected by Shiseido Perfect UV Protector!!
" Don't Forget to apply your Sun Protector before you go out, BYEEE.. "
comelnya Pika wearing blue naik mini cooper tu, hehe!